Earlier this week I stopped in to FanHQ at Ridgedale to drop off a couple of Morneau bobbleheads for a signing they are having. 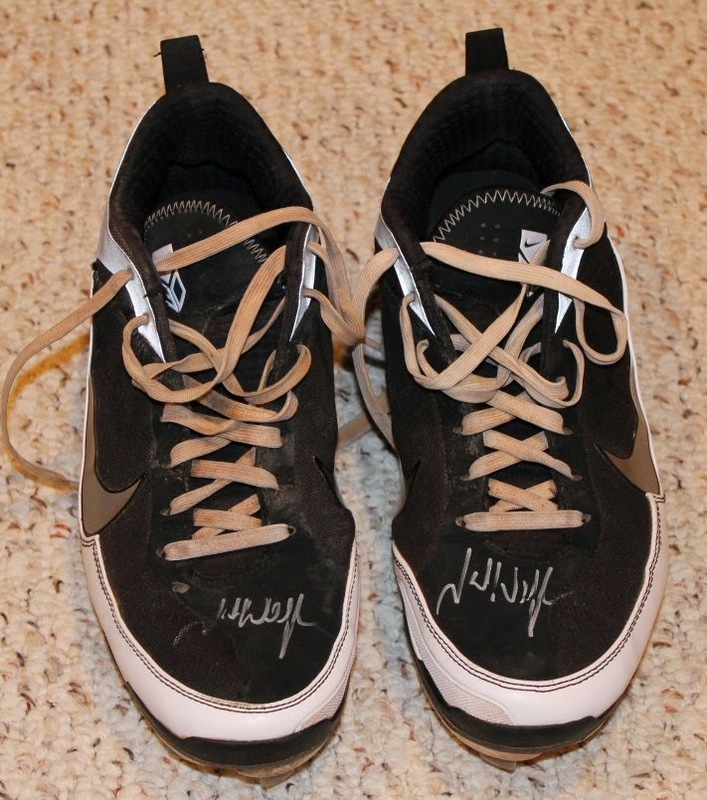 While I was there, I took a look at a pair of Josh Willingham game-used, autographed cleats that I had seen on eBay. I had been considering them, but the price in the store was significantly less than on eBay so I bought them. I also bought a blank Metrodome seatback to use as a project piece at next year's TwinsFest, like my boys did this year. I was jealous of theirs, so I decided to start one of my own. I haven't sent out any requests for a while so things will continue to be slow. I should get back my Morneau bobbleheads next weekend though.